Posted on Saturday, October 20th, 2012 at 11:00 am. Welcome to a new world. 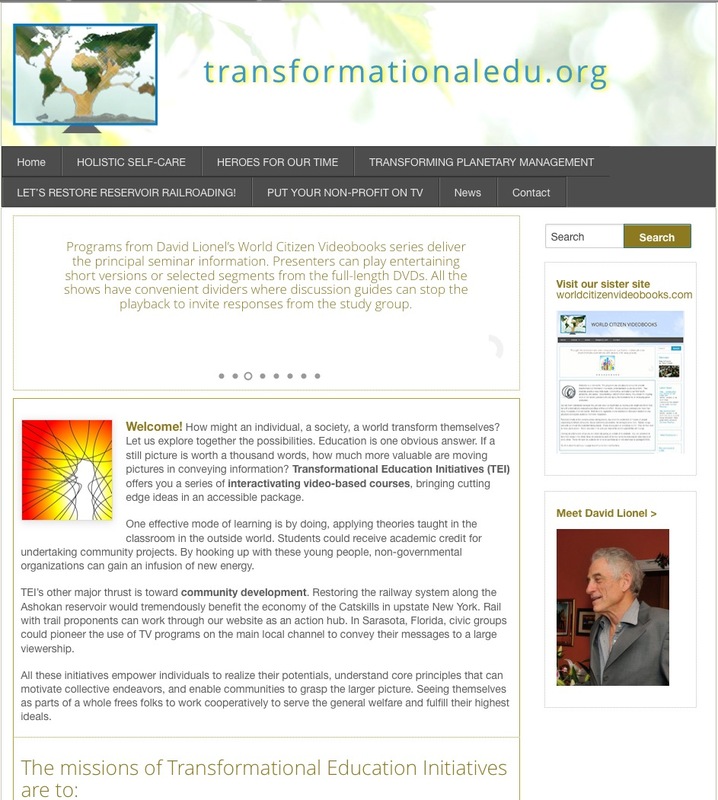 The programs you are about to encounter provide transformational information in a readily understandable audio-visual form. They illustrate practical ways individuals, communities, and nations can find health, prosperity, and peace. Documenting a kind of hidden history, they reveal the ongoing work of civil society pioneers who are laying the foundations for an emerging global civilization. We call them Videobooks because they provide about as much data as reading a full length non-fiction text, but with a dramatically reduced expenditure of time and effort. Moving pictures communicate more than many thousands of printed words. Brief discrete segments enable teachers or discussion leaders to stop playback and explore audience members’ responses. Recorded mostly at live consciousness-raising events, you share the excitement of masses of people responding to brilliant, innovative, deeply committed presenters. No boring lectures here. Rallies, songs, and skits punctuate the illustrated talking heads. These shows pack an emotional punch. They do their best to move you to action. Watch any one in full, and your idea of the world’s possibilities will change. Climb about to start your voyage toward humanity’s next frontiers. because they provide about as much data as reading a full length non-fiction text, but with a dramatically reduced expenditure of time and effort. Moving pictures communicate more than many thousands of printed words. Brief discrete segments enable teachers or discussion leaders to stop playback and explore audience members’ responses. © 2017. All rights reserved. 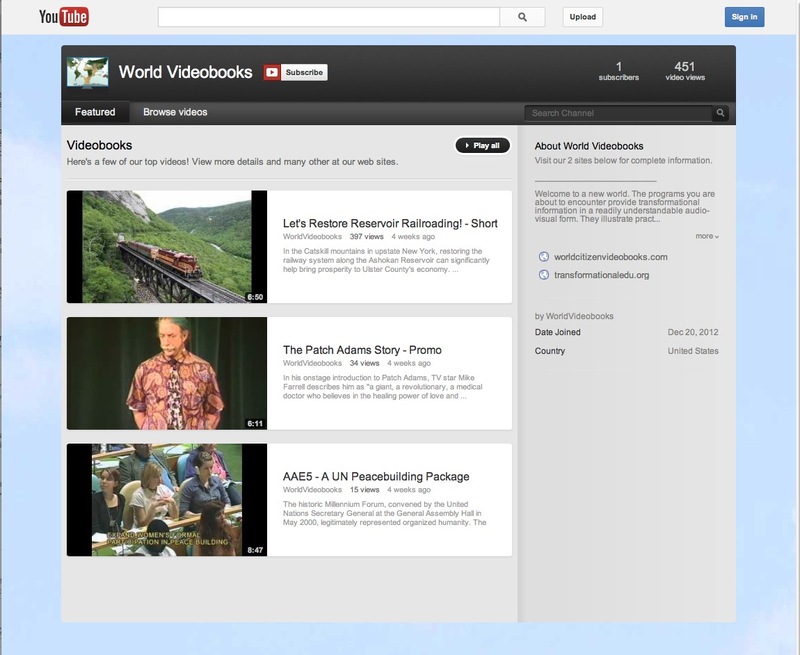 worldcitizenvideobooks.com.